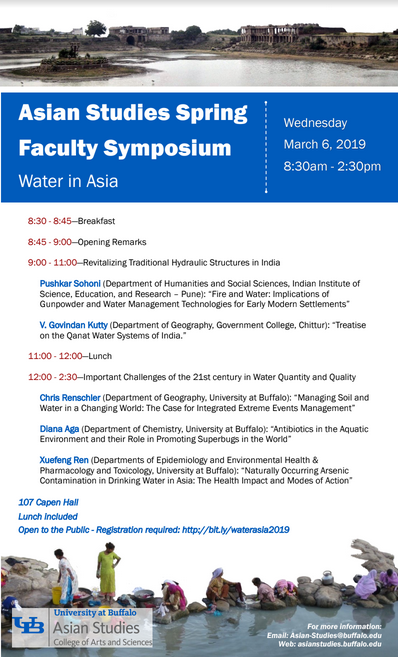 A free lunch is available to those who register online (http://bit.ly/waterasia2019). Present YOUR Research at 15th Annual UB Celebration of Student Academic Excellence April 25th! 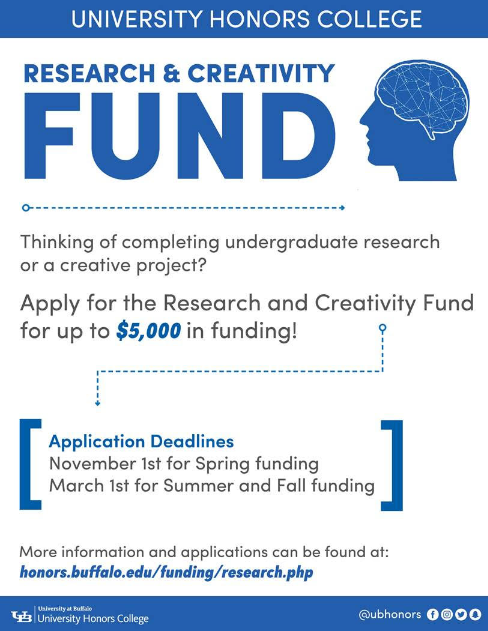 The submission form is live for students to apply to present their research and creative works at the 15th Annual UB Celebration of Student Academic Excellence…The Celebration is Thursday April 25th, 2019 in the CFA . The PAC Undergraduate Research Conference is a one-day, interdisciplinary event for undergraduate students from Pennsylvania, West Virginia, Ohio, Maryland, New York, New Jersey, and Delaware. The conference is an opportunity for students to meet others with an interest in Asia and to develop their presentation skills in a supportive setting. First time presenters are welcome as are non-presenters. The conference will begin with check-in at 8:00 am in the Howard J. Burnett Center, followed by two morning panel sessions, a lunch and keynote presentation, and two afternoon panel sessions. The conference will end at 4:00 pm. Presentations may be from any discipline and about any region of Asia, including the Middle East, about Asian communities or activities outside of Asia, or about relations with or perceptions of the peoples or states of Asia. Most presentations will be in the form of a 10-15 minute oral report in a panel setting with a faculty discussant. Posters and other forms of presentation are also welcome. Presenters must have a faculty sponsor. Sponsors are encouraged but are not required to attend the conference. The conference registration is free but required. Please complete and submit an online proposal by visiting https://goo.gl/forms/UhE9Cc11xhNzaijb2. Presentation proposals are due by March 8, 2019. Registration and attendance, including lunch, are free. Submission of a presentation proposal constitutes registration for the conference. Please complete and submit an online registration form by visiting https://goo.gl/forms/t2UB9A404oCDxPfI3 by March 8, 2019.